Includes spoilers from episode 56. 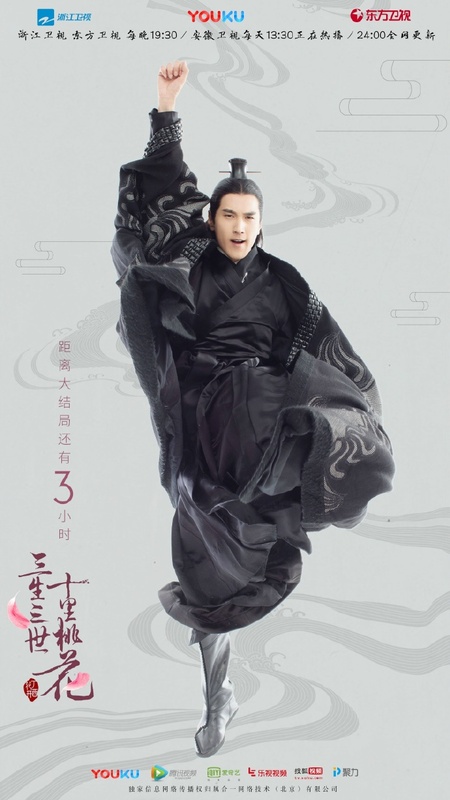 I may have gone down the deep end when it comes to Eternal Love 三生三世十里桃花 because here I am still raving about the show while waiting for the final two episodes. I'm also sharing the final batch of promotional posters as the series countdowns to the end. Last night was not the calm before the storm that I expected but all hell breaking loose as Qing Cang escapes prison to wreak havoc once again. It is a necessary evil, one that has been hinted at repeatedly but that doesn't make it any easier to accept. Why wasn't an army sent to guard such an important place? And what a terrible idea to send Su Jin. Better yet, wouldn't it have been sweet if Heavenly Emperor offered his life to the Dong Huang Zhong instead? In the face of imminent danger, Li Jing simply died trying and Dong Hua and Feng Jiu proved ineffective whereas Ye Hua who lost every bit of his power manages not only to beat Qing Cang but also to sacrifice himself for the greater good. 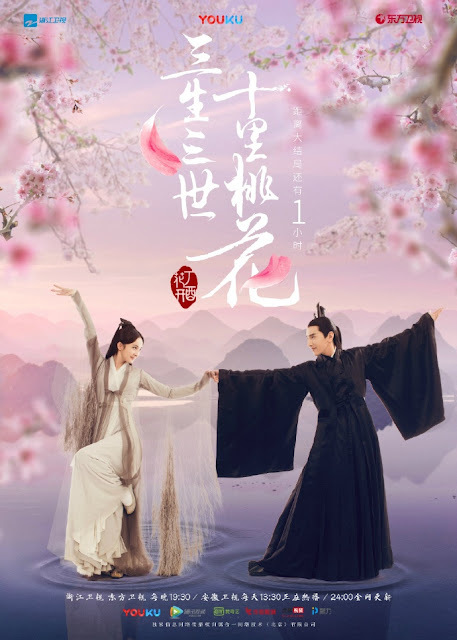 It is painstaking to witness Bai Qian and Ye Hua forced to part and their tearful goodbye was loaded with heartaches that may now never be resolved. With two episodes left and all things hitting the fan sooner than later, there's gotta be something good in store for the future, at least that's the hope I'm clinging to. Watched the last two episodes RAW though I don't understand a word of Chinese. That never happened before but then there's a first time for almost everything. And it left me with a happy sigh. I haven't even watched the subbed episodes yet as I want to binge but I've read some recaps and I'm so happy they didn't need to do an alternative ending Version. Very good drama, now, I'm curious about the movie version. lol happy sigh is a good sign! are you gonna rewatch it once it's subbed? I ended up watching the Oscar's last night but I am so gonna watch this now :) I am curious about the movie version too but now that I'd seen the drama, I feel overly protective of it. Oh yes, I going to binge on the whole series as soon as it's done and I'm on Holiday. Or I'll do it like I did with Nirvana where I watched it over the course of two weeks in the evenings going "just one more episode, really, have to work tomorrow, arg". I am soooooooooooo sad that it's over!!!! I'm curious about the movie version because Yang Yang is the lead but I think this time around I'm going to prefer the drama version over the movie version even though I haven't seen it yet. I watched the last two episodes raw and am really dying to know the ending of Dong Hua and Feng Jiu because I don't understand chinese. 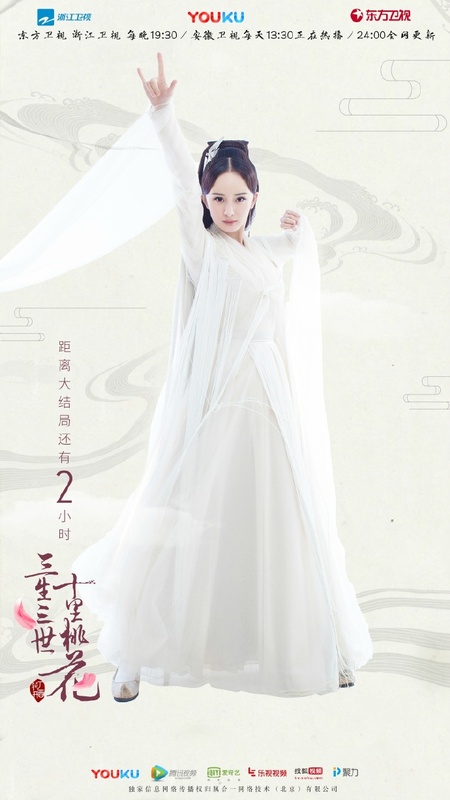 Will you let me know the meaning of Dong Hua's present to Feng Jiu and what did he ask Siming to tell her? And also what was Feng Jiu's reply to that? Do they have any hope at all? Dong Hua gave her a map of the ancient world that he himself personally drew up, hundreds of thousands of years ago when the world was still young, when he was battling side by side with the "Father God" to unite the world. Feng Jiu's grandpa (the old fox clan King) comments to his wife that this is a truly priceless gift, for he has only heard of it and never seen it; and in fact even the current Heaven Emperor has never laid eyes on it. Feng Jiu asks Siming if Dong Hua had any words to pass along. Siming then repeats Dong Hua's words: "Over many hundreds of thousands of years, everything shown on the map no longer exists. Even these 'four oceans and eight lands' have changed to become completely different. All the many thousands of things in this world are so tiny/insignificant, there is nothing that is really worth remembering/cherishing." 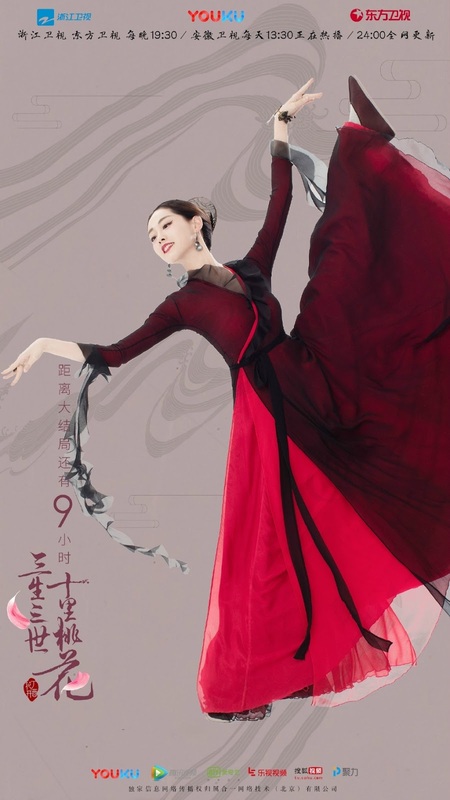 Feng Jiu makes a curtsy/courtesy bow and says: "This bow is for Dijiun. Qingqiu Bai Feng Jiu thanks Dong Hua Dijun for his gift. 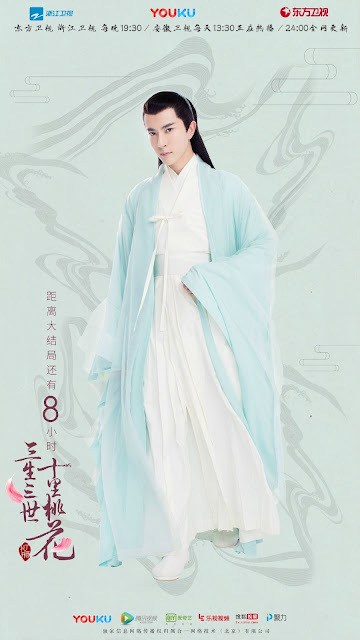 I hope that Qingqiu and the Heavenly realm will be friendly/in harmony for many generations to come, and all the people/citizens in the realms will hence live in peace with good fortune." 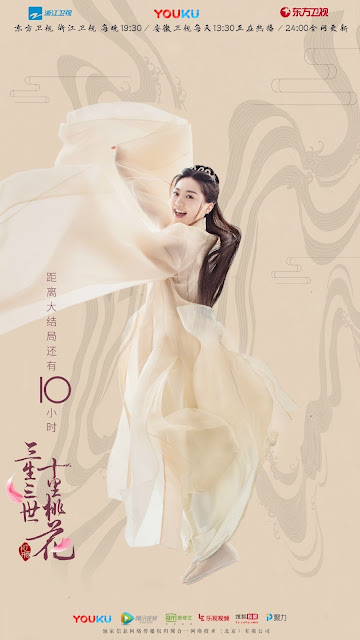 I guess Dong Hua is sending one last message to Feng Jiu that she should forget about him and their short-lived romance. 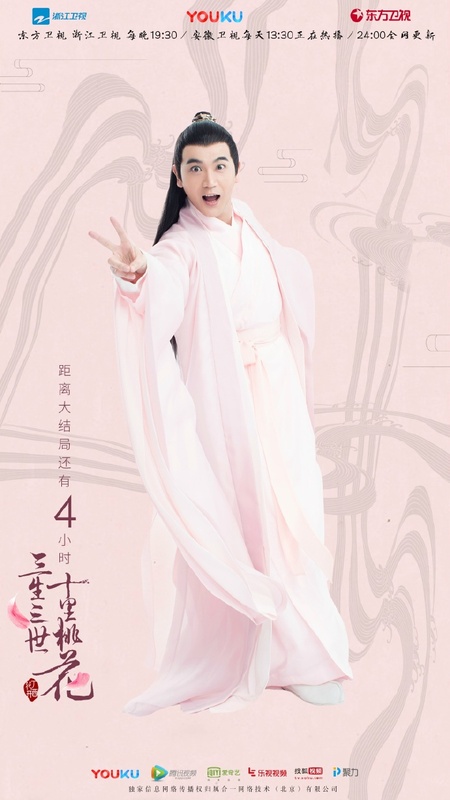 Personally, although their last scenes re-emphasize Dong Hua's stance that they have no fate together and therefore he is rejecting Feng Jiu, I think there is still hope for them. I mean they are both immortals who will live for hundreds of thousands more years so why can't things change in that time? Also, when Feng Jiu saw her name on the "three lives stone", it was listed beside "Wenchang Dijin". 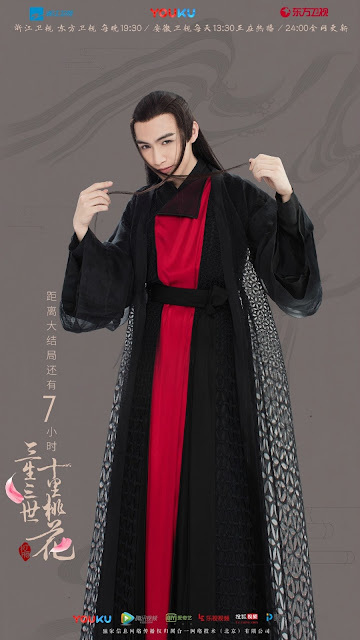 I never read the books but I saw some posts on weibo commenting that "Wenchang Dijun" may be an alter-ego and/or reincarnation of Donghua Dijun. Apparently Wenchang Dijun's job description matches Donghua's job description, plus they are both "Dijun" (and I don't think anyone else in the series has been referred to as "Dijun" apart from Donghua). So perhaps many thousands of years in the future, circumstances change allowing them to be together. wow you're awesome.. couldn't have translated it any better and I mean I really couldn't :) I agree with your interpretation of the ending though I never once thought that Wenchang Dijun would be him. Now that I think about it, that would actually be the best case scenario. 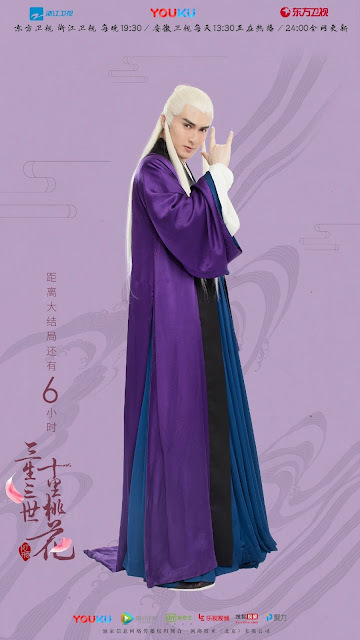 "Personally, although their last scenes re-emphasize Dong Hua's stance that they have no fate together and therefore he is rejecting Feng Jiu, I think there is still hope for them. I mean they are both immortals who will live for hundreds of thousands more years so why can't things change in that time?" I will just live with the answer above until the drama version of Pillow Book comes out. :D Mean while, I will just go back and re-read the book for the nth time.